This week The Tax Institute finalised its submission on the Government's draft changes to the Part IVA general anti-avoidance law. We support the maintenance of integrity rules within the tax system to ensure that tax is levied fairly, consistently and according to the policy intention of the relevant tax laws. Widespread faith in the integrity of our tax laws is essential to securing taxpayer trust and voluntary compliance. Part IVA plays a particularly significant role in safeguarding the integrity of the tax system, ensuring compliance with the intention, not just the letter of the tax law. As such, Part IVA should only be applicable in circumstances where the relevant taxpayer has acted in a blatant, artificial or contrived manner in order to pay less tax than would have been the case had tax been appropriately levied on the substance (rather than the form) of the transaction. A word or two about the final events for 2012. The Tax Specialists’ Workshop lived up to its reputation as a testing but satisfying engagement with the tough technical tax issues experienced by top tax advisers in the SME and big-end sectors. The groups were very ably led by extremely experienced practitioners who freely imparted knowledge to the delegates. There was also a seriously good dinner held at La Pétanque. The Noosa Tax Intensive finished off the year’s event program. It has an enviable reputation for delivering tax education in the best way, learning by doing, and of course, Noosa is almost always delightful in November. The Institute’s National Convention organisers must be vying for a Michelin star of their own because the selection of Berardo’s for the convention dinner was a quality decision. Included with your copy of the journal this month is a copy of the program for the Institute’s flagship National Convention, which in 2013 moves to Perth. Covering the latest technical content, the convention is your chance to hear from experts with real practical insights, and to catch up with your colleagues and peers. Register before 25 January 2013 and receive early-bird pricing. Congratulations to the final two winners in our Tax Knowledge eXchange 10th anniversary celebrations. Celia Tang, CTA, Tax Consultant in Camberwell, Victoria, and Maria Day of Springfield in Queensland have both won a free subscription to Australia’s leading tax knowledge base. Congratulations to all of our winners during our celebration of 10 years of the Tax Knowledge eXchange. If you haven’t taken a trial this year, make sure you do soon and see the benefits that our easy-to-use tax knowledge and research tool will deliver for your business. Last week The Tax Institute, in conjunction with the Australian Tax Research Foundation, hosted an important tax reform event: Revolutionising State Taxes - Finding a way forward. The event provided an important platform for discussion and debate about the pressing need for the reform of State taxes. The Tax Institute has long called for a national vision for the reform of inefficient State taxes such as stamp duties that stifle a productive society. With the recent backdrop of the report of the Federal Government's GST Distribution Review Panel and next week's Treasurers' discussion of this report and also an options paper for State tax reform, the event provided a timely fillip to the debate. November has proved to be a very exciting month from a tax tragic’s perspective. We have experienced a generational change at the very top of the Australian Taxation Office administration. Michael D’Ascenzo’s retirement as Commissioner will cap off the renewal of the tax hierarchy, with only Second Commissioner Bruce Quigley remaining to pass on the decades of experience that have otherwise flown out the door. Michael can look back proudly at the changes he has wrought during his term as Commissioner, the chief among them being his sincere engagement in collaboration and consultation. On behalf of everyone at The Tax Institute, including staff, volunteers and members, I wish Michael well in his new role. Access global career opportunitiesThe Chartered Tax Adviser Program allows you to attain the prestigious Chartered Tax Adviser designation and become recognised for your tax expertise on the international stage. Relevant and practical tax training The courses are designed by leaders in the tax field, in close collaboration with a wide pool of tax practitioners, to ensure that they are relevant, current and practical. Flexible study options available to fit your scheduleThe Tax Institute understands that you are a busy working professional, and so offers a number of study opportunities throughout the year so you can arrange your preferred schedule. Education that is delivered by leaders, for leaders Practising tax experts write, present and assess the courses, allowing you to gain direct access to this influential community of members and tax industry experts. Recently the Government released the GST Distribution Review Panel's report. Amongst other important options, including possible changes to mining royalties and the Minerals Resource Rent Tax, the report is yet another well-reasoned plea for the Federal Government to permit a debate on the rate and base of the GST. The Tax Institute has long called for the hard work to start now such that we can achieve a national plan for the direction of tax reform. This must include the Commonwealth and the States and Territories acting together. Abolishing inefficient State taxes like stamp duty on homes must be considered in the context of discussing the entirety of the GST. There is no point tinkering with one aspect of the GST, like the imported goods threshold, when time and again history has proven that tinkering with tax systems causes more harm than good. The only way to ensure that real reforms are achieved is to look at the tax system as a whole and that includes the whole of the GST. As the year draws to a close, we celebrate our achievements and look forward to bringing members more great benefits and opportunities in 2013. As 2012 quickly comes to an end, I’d like to take this opportunity to acknowledge the hard work of those involved in making the Institute the success it is. Many thanks to our committees and volunteers, our National Council, and particularly Ken Schurgott, our 2012 president, for their commitment and contributions throughout the year. Last month, we were proud to introduce The Chartered Tax Adviser Program at our well-received Chartered Tax Adviser information sessions which were held around Australia. The education program is dedicated to developing tax advisers with the professional skills, quality advice and acute commercial skills to join the growing international network of Chartered Tax Advisers. Last week The Tax Institute participated in the bi-annual Treasury Revenue Group Stakeholder Consultation meeting. These meetings are a Treasury initiative that started last year after the Government's Tax Forum. They are a welcome addition to Treasury's increased openness with respect to tax policy. Treasury provided a presentation on the 2012 Mid-Year Economic and Fiscal Outlook as well as further details on their recent internal restructure aimed at better focusing resources and building further expertise in areas such as law design and small business tax issues. On behalf of the attendees, I lead a discussion on the proposed ethical framework for tax consultations, about which I have written in previous posts. Effective consultation is essential to produce tax laws that are in the broader national interest and this framework has the potential to enhance this. It was late on a Friday afternoon a couple of weeks ago that the Government decided to demonstrate that it truly believes in a transparent and open policy debate by releasing the exposure draft of the Part IVA general anti-avoidance rule changes. Foreshadowed by the former Assistant Treasurer in March this year, this is the first opportunity that the community has had to see the draft detail of the changes. Despite the Government's attempt to minimise any media coverage of the announcement, The Tax Institute issued its media release in response that same afternoon. The Government's proposed changes to the general anti-avoidance rule are an overreaction to recent court cases. The sweeping changes will increase taxpayer uncertainty and negatively affect already dwindling business sentiment. The Tax Institute’s National Council has observed that a shift appears to be taking place from the time-honoured face-to-face professional development events to structured education and remote learning. Perhaps this is inevitable as technology takes hold and a new generation of tax adviser emerges. However, there is still a lot to be said for the collegiality of the CPD events. They have served us well for nearly 70 years and have assisted many callow tax advisers to grow into the well-rounded experts that they are today. Your president can look back over 30 years or so of time well spent (and a little not so well spent) at national and state conventions. These events are where the generations pass on the ability to master not only tax technical content, but also how to behave with clients and, more importantly, with our peers. This conveniently segues into my final topic, the privileged position of the president when attending state conventions. With the announcement last week that Mr Chris Jordan AO will be the next Commissioner of Taxation, one of the big questions in tax administration in this country has been answered. From 1 January next year the ATO will have its first private sector Commissioner at the helm in a hundred years. The Tax Institute has welcomed the appointment of Chris Jordan as the new Commissioner. We see it as a fresh injection of private sector experience at the helm of the ATO. Given that the ATO is one of the largest and most significant Australian Government agencies, it is important that it continues to strengthen existing ties with the private sector. Chris' many years of service on the Board of Taxation, most recently as its Chairman, are evidence of his ability to bring significant private sector expertise to bear on tax policy and administration. Discover how to use Facebook to build your business and generate leads. 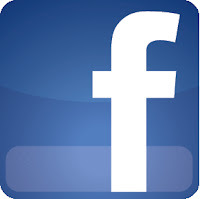 Facebook is the most popular social networking service on the internet, with over one billion active users. It allows users to create a personal profile, upload images and videos, share their thoughts through status updates, and connect and keep in touch with friends and family. Unlike other social networking sites like Twitter and LinkedIn, Facebook is more personal and the platform makes it easier to deliver many different types of content, including videos and images. Chances are you have a personal account on Facebook. While you may or may not use this for networking related to your business, taking the next step and creating a page (as opposed to a profile) for your business will help gain you visibility, help build relationships and develop new ones, and make your services more accessible for your clients. Last week saw the Government and Opposition trade blows on leaked Treasury costings, bringing into sharp focus the question that has dominated tax policy discussions for years: how much do proposals really cost? With the forecast of a wafer thin Budget surplus this year, the cost of tax measures has played an increasingly central role in policy decision making. The importance of costing measures appropriately cannot be understated - everyone involved in developing tax policy has been forced to deal with the consequences of significant changes in actual versus projected costs of tax measures. Increasing numbers of Australians are disposing of significant wealth through their wills. Accountants and lawyers are therefore frequently encountering large estates, where the executors may incur significant taxation liabilities, depending upon how they administer the estate. In this presentation Michael Flynn, CTA, outlines strategies for minimising tax liabilities that may arise in administering deceased estates. Download Michael’s presentation free below, and read on for a special offer on Estate & Business Succession Planning 2012-13. This month, we launch the Institute’s premier annual taxation event, the 28th National Convention. In 2013, it moves to the Perth Convention and Exhibition Centre from 13 to 15 March. As always, the convention will cover the very latest technical content and will have ample networking opportunities and an expo showcasing exclusive offers from our business alliance partners. Held over three days, this is your opportunity to choose from over 30 sessions, hear from experts with real practical insight, network with presenters, colleagues and peers, and explore the Western Australia capital. This is a must-attend event. I look forward to seeing you there! Throughout November, we are holding Chartered Tax Adviser information sessions in most capital cities. This week will see the trifecta of the Melbourne Cup, the Reserve Bank's interest rate decision and the US election, so it seems timely to reflect on the contrasting economic positions of Australia and the US. With American voters left contemplating emergency tax measures to prevent the country from falling off a fiscal cliff, it appears that Australian policymakers are wasting the opportunity for tax reform presented by our relatively healthy economy. The US presidential candidates are canvassing an array of tax policies to shore up the nation's financial position. They include broadening the tax base and lowering the tax rate imposed on small business, cutting company tax and changing the individual tax regime. Small business taxpayers, in particular those described by the Australian Taxation Office as micro-businesses, struggle with red tape and the over-weening requirements of tax administration. As a complete aside, I have never liked the term “micro-business” because it appears to be pejorative; for those who run the business, there is nothing bigger in their lives and for those who depend on the business for employment, it is of crucial importance. Perhaps we could call them “very important businesses” (VIP businesses) to capture the essence of their significance for the Australian economy.